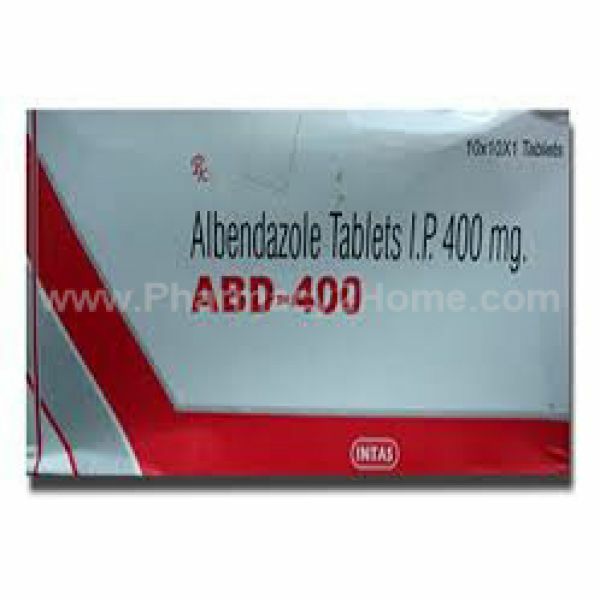 Generic Albenza is a drug that is used in treating a wide variety of parasitic worm infestations. It can be used against flatworms including flukes and tapeworms as well as against nematodes, including hookworm, ascariasis, whipworm infections, pinworm infections and others. Generic Albenza is a vermicide, a drug which causes degenerative alterations in the intestinal cells of the parasitic worms. This leads to impaired uptake of glucose by the larvae. It causes diminished energy production in the worm, leading to its ultimate death. You should keep Generic Albenza away from direct light, moisture and heat. Generic Albenza has to be taken as recommended by the doctor. It is best to take Generic Albenza with fatty foods as this increases the absorption in the stomach. You have to take Generic Albenza for as long as the regimen lasts in order to ensure the best possible results. It is also very important to take the drug regularly. The dosage will vary from one patient to the other, depending on their age, their weight, the condition and the type of work infection that is being treated. It is important to take exactly as much Generic Albenza as prescribed by your physician. In case of an overdose on Generic Albenza, seek emergency medical help. If you missed a dose of Generic Albenza, take it as soon as you remember. Do not take the missed dose if the next scheduled one is close. Do not take double dosage to make up. Generic Albenza can lower blood cells in the body which help fend of disease and infection. Your blood will need to be tested regularly when using Generic Albenza. Your doctor might also want to monitor the liver function. To lessen he upset stomach, take Generic Albenza with foods. Do not use Generic Albenza if you become pregnant and inform your doctor straight away about your pregnancy if you are already using the drug. Less serious side effects of Generic Albenza include temporary hair loss, headache, dizziness, vomiting, nausea and stomach pain. These are expected to subside in time. More serious side effects that need to be reported at once include easy bleeding or bruising, unusual weakness, fever with chills, flu-like symptoms, sore throat, severe headaches and body aches. Generic Albenza is one of the most effective treatments against parasitic worm infections and conditions that are caused by these infections. Generic Albenza has potential to treat a number of various infections by different types and kinds of worms that may infect a human body. Generic Albenza should not be used by people allergic to albendazole or similar drugs such as mebendazole. Pregnant women are very rarely prescribed with Generic Albenza. You should inform your doctor about any liver diseases that you might have had or any abnormal liver function tests that you have had done. You have to take Generic Albenza as long as the doctor prescribes. Your symptoms may go away before the infection is cleared and the discontinuation may help the infection flare up again and worms multiply. Do not discontinue the drug before you are told to do so.